Don't you always say that you need to do more cultural things in NYC, that you have been meaning to checkout some museums... Well, here is your chance to do so with no added expense. 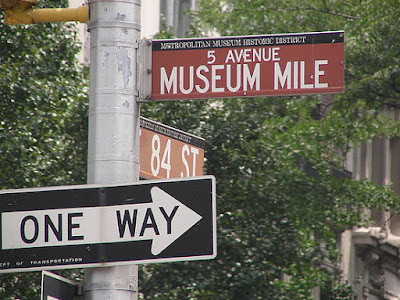 TODAY from 6-9pm The Museum Mile Festival takes place on NYC's 5th avenue. There will be 23 car-free blocks filled with art, music, entertainment and of course, FREE admission to museums along 5th avenue from 82-105th streets.